Conversion of 1800 sf of overgrown, unusable space at a Cal Sorority house to a beautiful, sustainably sourced, Guatemalan hardwood (Machiche) deck, surrounded by a custom-built Western Red Cedar Fence and trellis. 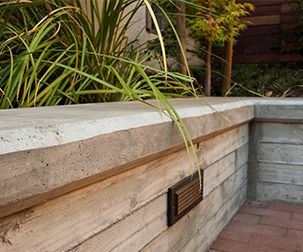 A large brick patio outlined with board-formed concrete benches, accented with beveled edges and recessed lights, extends the usable space further into the yard. A low-profile staircase seamlessly connects the patio and deck, gently following the slope of the grade. 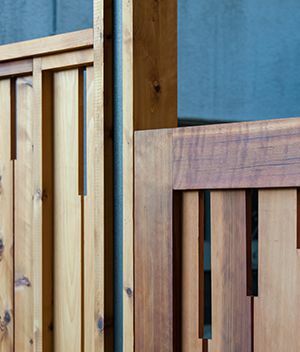 A handcrafted gate completes this vision of creating a beautiful, functional community space!